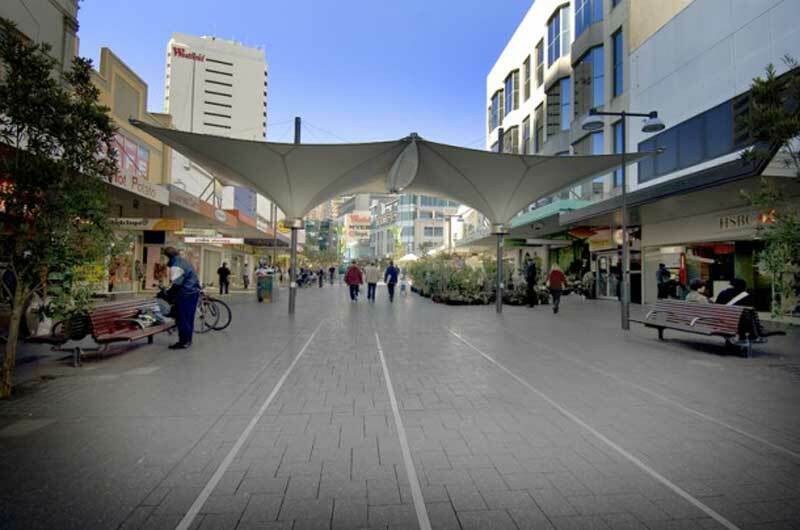 Situated in the Eastern Suburbs of Sydney, Bondi Junction is one of the most popular places in the country. If you visit Australia, don’t hesitate to take a bus to Bondi Junction and spend a day in this incomparable and scenic area which has changed and been developed a lot in the past century. The large and luxurious shopping malls, amazing pubs and Bondi Beach could be the best experience of your Australian holiday. Bondi beach is the most famous beach in Australia both for sea lovers and those who appreciate picturesque and astonishing views, tasty food and exciting night life. Fascinating bars and modern shopping malls make Bondi Beach even more attractive. You will have a chance to visit family friendly cafes, yoga schools and markets during the weekend. If you plan to go to Bondi Beach, it is suggested you leave your car home because it's quite difficult to find parking car close to the beach. There are parking schemes in almost every street and the limit is up to 2 hours. Parking costs around 7 dollars an hour, so letting Sydney Transport Group transport you and your group is a great option. High quality city tours, cruise ship transfers and many other services are also available. If you are with children and they want to explore surfing, don't miss the chance to surf the famous waters of Bondi Beach. There are various services providing lessons both for beginners and professional surfers, so take this opportunity and enjoy your surfing. If you are lucky you will have an opportunity to take part in the annual City to Surf Fun Run, which is one of the most popular fun runs in the world. It is a 14 km journey from Sydney’s central business district to the famous Bondi Beach. If you've decided to go to Bondi Junction, you may hire a shuttle bus to or from the Eastern Suburbs. Eastern Suburbs Airport shuttles are well-equipped to make visitors travel smooth, comfortable and safe. Our prices are very affordable and our vehicles are best in the market. Eastern Suburbs Airport shuttles offer high quality transportation that is sure to exceed your needs and make your journey unforgettable. If you are thinking about travelling by bus from Bondi Junction to Bondi Beach, make sure to manage your time. You will find bus stops at busy places like Bondi Junction Interchange. It’s highly recommended to buy tickets before your journey because there are a lot of prepaid buses that do not accept payment on the bus. You can take a bus all the way from the city and even though it’s a little bit slower, you will have a chance to check out the surrounding suburbs and admire the fascinating views of this incredible place. The Bondi to Coogee walk is about six kilometers long and located in Sydney’s Eastern Suburbs. This popular walk allows you to admire stunning views, golden beaches, beautiful parks & cliffs and spectacular ocean views. It will take you around two hours to walk from Bondi to Coogee Beach and another hour and a half if you decide to continue walking to Maroubra. Make sure to wear comfortable shoes & clothing and bring along a hat, sunglasses, sun protection cream and cold water.